Common yellowthroats are among the many bird species that will be celebrated with birding events around the state this spring. Michigan is home to a variety of important bird habitats and an exciting array of public birding events and birding trails. 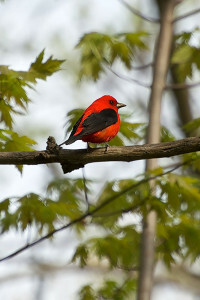 Now is the time to start making plans to get out and enjoy the spectacular diversity of birds in Michigan. In addition to the many festivals listed below, Michigan is home to a growing number of birding trails, with six already existing and more planned. 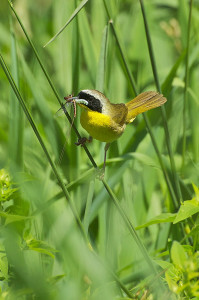 Michigan’s birding trails are open to the public and provide great opportunities for family recreation. Birding is a great way to enjoy the diversity of Michigan’s wildlife and their habitats and to build a true appreciation for the uniqueness of the state’s natural resources. Birding events and trails are made possible through the efforts of Audubon chapters, government agencies, land conservancies, private industries and many dedicated individuals working together to create opportunities for people to experience the outdoors and visit local communities.